Join us and save the special places you love! Together, we bring a strong voice to the state capitol where educating and advocating are essential to preserving the integrity and natural beauty of Minnesota’s outdoors; and your support saves critical land to be acquired and protected within Minnesota’s parks and trails, where future generations will have the chance to experience the joy of our great outdoors. 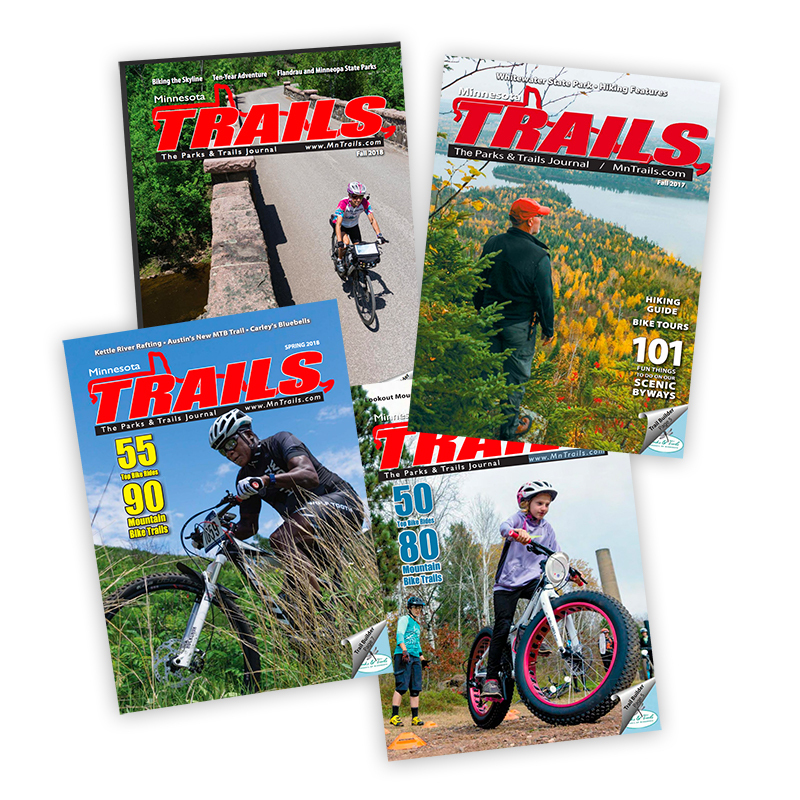 Plus you'll receive a year's subscription to Minnesota Trails Magazine with guides to getting outdoors. And our Special Places newsletter. If this is a family membership, please list the full names of those you want included on membership.